You will be picked from your hotel in Kigali and go for a city tour visiting Kimironko market and the genocide memorial site. Have lunch and transfer to Bwindi impenetrable forest national park through Katuna boarder arriving in the evening. Dinner and overnight at Ichumbi Gorilla Lodge. Prepare for early morning breakfast and set off to the park headquarters with your lunch pack and bottled drinking water to attend briefing by the park ranger guides at 7:00am. 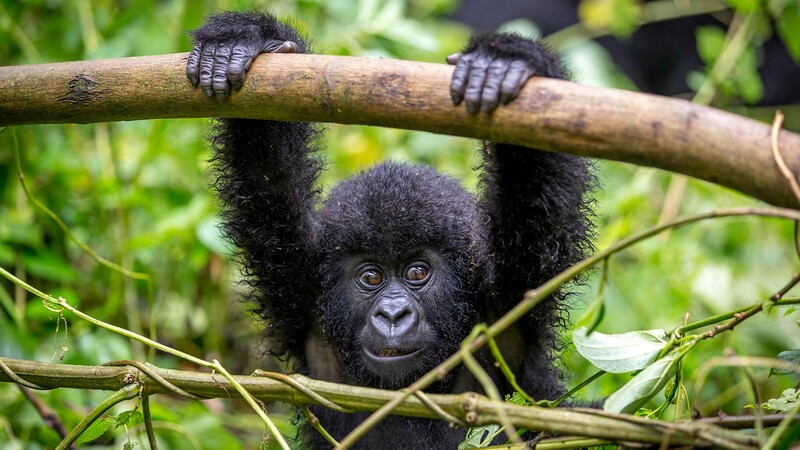 After briefing and getting you ready for the trek, you will start your gorilla trekking adventurewith a knowledgeableranger guide and trek through Bwindi until you find the giant primates – Gorillas; the trek lasts between 2 to 8 hours depending on the movement of the gorillas as they freely roam the park. After the trek, you will enjoy your lunch packs, meet your guide and transfer back to the lodge where you will freshen up and enjoy the evening admiring your photos and sharing your day’s accomplishment with friends online! Dinner and overnight at Ichumbi Gorilla Lodge. Have breakfast at leisure and transfer back to Kigali and drop-off at the airport for your onward flight.